Madix realizes the importance of incorporating energy-efficient lighting into fixtures. Good lighting has a positive impact on shopping behavior. Madix has several state-of-the art lighting products that are eco-friendly since they contain no heavy metals and reduce power consumption. These lights emit virtually no heat or UV rays, consume approximately 50 percent less energy than conventional sources, and have an incredibly long life, usually 70,000 hours or more. Custom solutions are sometimes the best way to reach a specific market or audience. That's why Madix works with you to create and design custom point-of-sale displays to meet your specific needs. 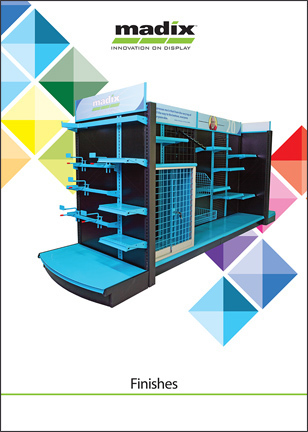 From specially branded end caps to market-based freestanding displays, Madix is here to help you lift sales in every way. If you can dream it, we can create it. Put innovation on display.